Although mobility scooter insurance is not a legal requirement, having a policy will give you peace of mind when you're out and about on your scooter. However, it is still advisable to have insurance in place to protect you from damage, theft, personal injury - and also personal liability, in case you hurt someone or cause harm to property. If you have third party mobility scooter insurance, you will be covered for damages should you collide with someone in your scooter or damage another person's property while in it. Many insurers provide cover for mobility scooters. We have partnered with some of the UK's leading insurance providers to help get you get the best cover for your scooter. Before buying a policy, It's always best to make sure that you understand the full details of what you are being covered for, as you would not like to find yourself underinsured at a crucial point. It may give you peace of mind to get mobility scooter insurance that covers you for the cost of defence and any awarded damages should you be taken to court over an incident with your scooter. 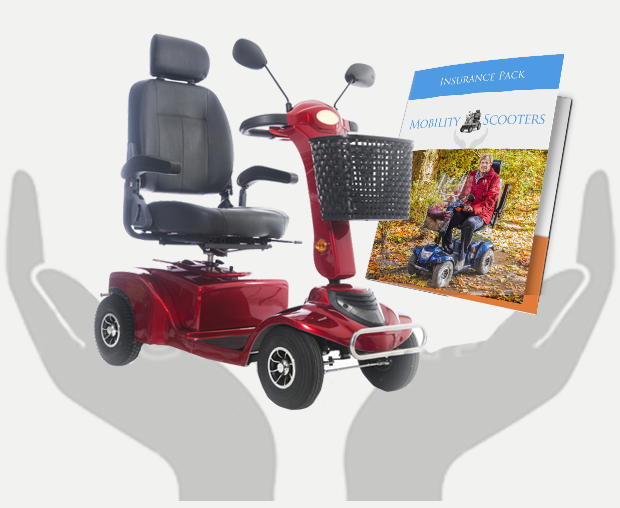 Ensure that you find out how many breakdown calls your insurance allows you and that you tell your provider if you modify or change your mobility scooter. Your home contents insurance may cover your scooter as well.